Shown in privacy mortise bolt function (E117/E116), $1,377. Shown with the K10020 Flute knob. 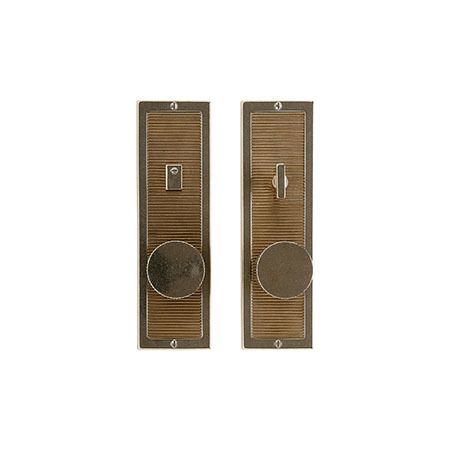 The knob, frame, turn piece and swing cover are shown in silicon bronze, light patina and the Flute texture is shown in silicon bronze, medium patina.